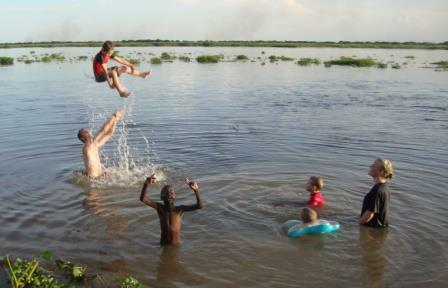 When I read the Fader’s blog from South Sudan I am always encouraged by the joy and vivacity which marks their lives. 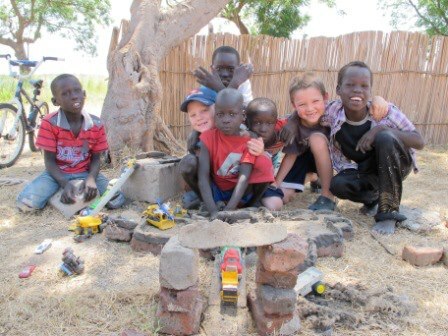 They live in the new South Sudan, a place most people would refuse to take their family simply because all they know about Sudan is what they’ve heard on the news. If you’re wondering what would cause someone to live here and live cheerfully, read on! And then check out their blog. We are Eli & Bethany Fader. We have three boys ages 4, 6, and 8. 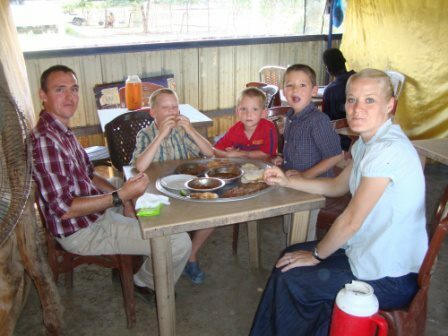 We have been married for 10 ½ years and we have lived in Sudan/South Sudan for almost 5 years. How did you know you needed to move to Sudan? Why Sudan? Before Eli and I even got married we both knew we wanted to do long term/career missions. We both grew up as missionary children and had seen first hand how effective it was for a family to live long term among the people group they were ministering to. We took a vision trip to Sudan a year after we were married before we had children and while we were in Sudan, though the situation there was very bleak due to war, poverty, and terrible suffering, we both felt very strongly that somehow that was where we belong! God began burdening Eli and I for Sudan while we were still in college. We started hearing news about the war in Sudan and since Africa was very close to our hearts having both grown up there, we somehow felt drawn to help. We knew the need there was great and growing up in Africa had been great preparation to live in a very remote place. Our biggest fears concerned our children. When we first moved to Sudan our oldest was not quite 3 and our second son was 15 months old. I knew we were going to live far from any proper medical care and I worried most about their health and safety. I also worried about our living conditions. Most of South Sudan is village setting with no electricity or running water and I knew that type of life style would be really hard with little ones. I also was very sad to leave our friends and family and know that we’d go several years without seeing them. The main thing was very tangibly giving over our children to the Lord. During our missions training the year before we left the States, one night I came home and crept into my boys’ room while they slept and knelt next to each of their cribs and prayed over them and “let go” of them and gave them over to the Lord. I knew He loved them even more than I did and I knew He was calling them to Sudan just as much as He was calling us. I also began a much more active prayer life. A friend encouraged me to pray about everything – every plane trip, every hand shake in the village, every walk to town, pray first, and pray as I go. God gives so much peace when we hand things to Him. 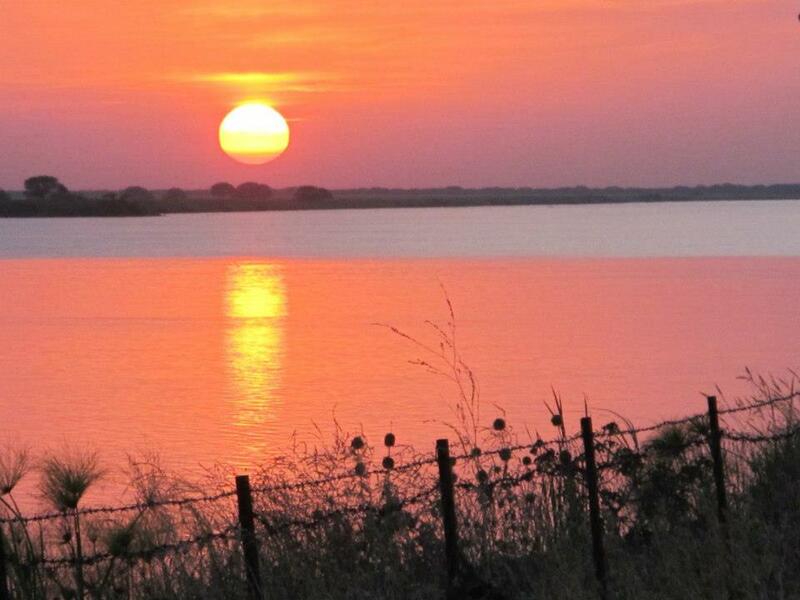 What are some positive aspects of raising your family in South Sudan? What are the negatives? Positives: It has been such a joy to see our boys thrive in South Sudan. They LOVE living here. It is every boy’s paradise. They get to spend their days climbing trees, running free, playing with their friends, learning how to hunt with a bow and arrow or sling shot, swimming in the river, etc. There are also so many opportunities to involve them in our ministry. Our children have seen God work and have seen Him answer so many prayers in their short lives because we pray together and we involve them with ministry when we can. We talk about why we’re here and why God called us here and how we should live our lives. Negatives: the only negative I see honestly is that we don’t get to see our family very often. That is really the only one because I really don’t think they miss out on anything children in the States have or do. Any final words of wisdom? Do you have an interesting story or anecdote you’d like to share? We have to realize that life is not about us or our kids. It’s about our LIFE in Christ and we need to think about those in the world who haven’t had a chance to have LIFE in Christ. That is what matters. We will have eternity in heaven to enjoy beautiful and special things, family and friends, etc. But we are each given a short window of time in our lives to let God use us however He wants and we need to let go of our own desires and dreams and do what God is calling us to do. There is a place in town and we have become good friends with the owner. She makes traditional, local food and puts it on a platter. We sit around the platter and dig in from the same plate with our hands. It’s usually a flat bread with a fried meat dish, a slimy okra soup, and maybe a meat soup. They have become such good friends that last time we were there, the cook gave us a gift – a beautifully decorated gourd. We pay $5 for our family of 5 to eat a delicious local meal. All photo credits to Bethany and Eli Fader. Good question. I’ll pass that on to the Faders. I can so relate. The tremendous joys and the contentment, particularly when the children are young and at home. Through the years, when the temptation has come to hold back and mourn my “losses”, to try to decide if “it’s worth it” or not, the parable of the laborers in the vineyard has preached volumes to me. The commentary note sums it up, “Those who do what they are called upon by the Lord to do and leave the reward to Him will always be rewarded far more than if they set the worth of their own labor.” The temptation to set the worth of my labor came as children started leaving home to boarding school and it is a continual area of temptation for me. Good quote. We are not to set the worth of our labor if we are in obedience. Applicable to every area of life. Thanks mom!